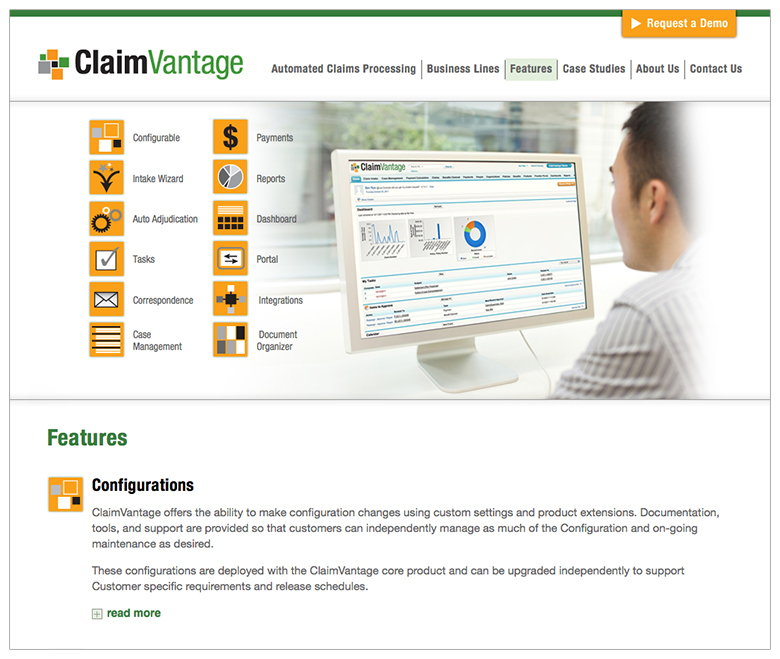 ClaimVantage offers software products that automate and integrate insurance claims processing. 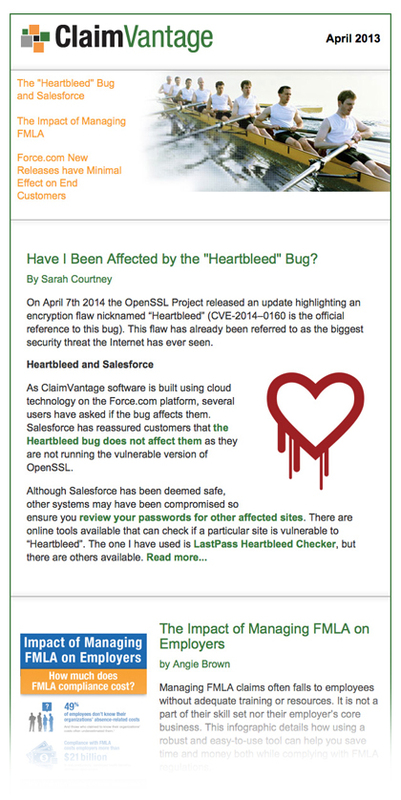 When upgrading from their previous web site, Visible Logic had to tackle the content as well as the design and development. Reviewing the analytics of their old site suggested that people were jumping around, looking for information. By reorganizing content, adjusting the navigation and creating graphic elements that supported the written text, visitors are now able to find relevant information quickly. 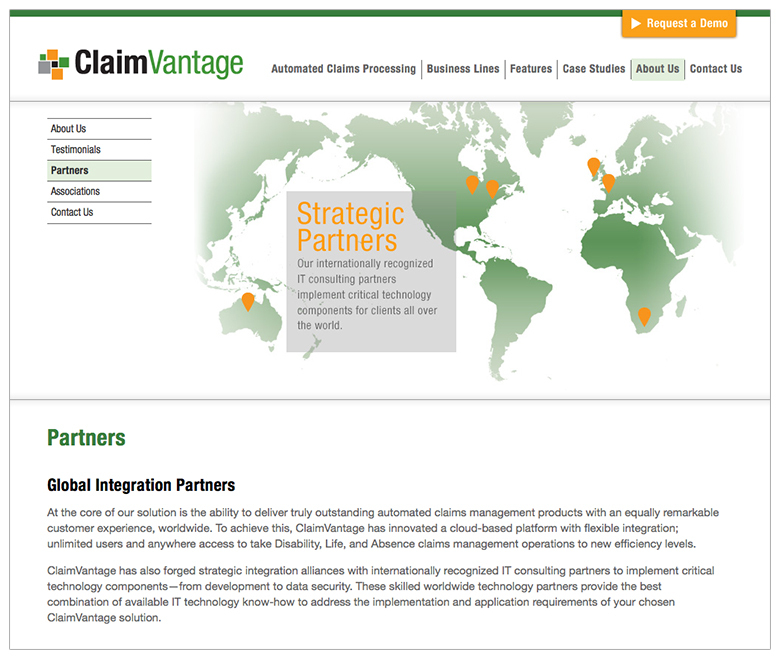 Additionally, it was important to position ClaimVantage as an international company, with high-caliber clients. 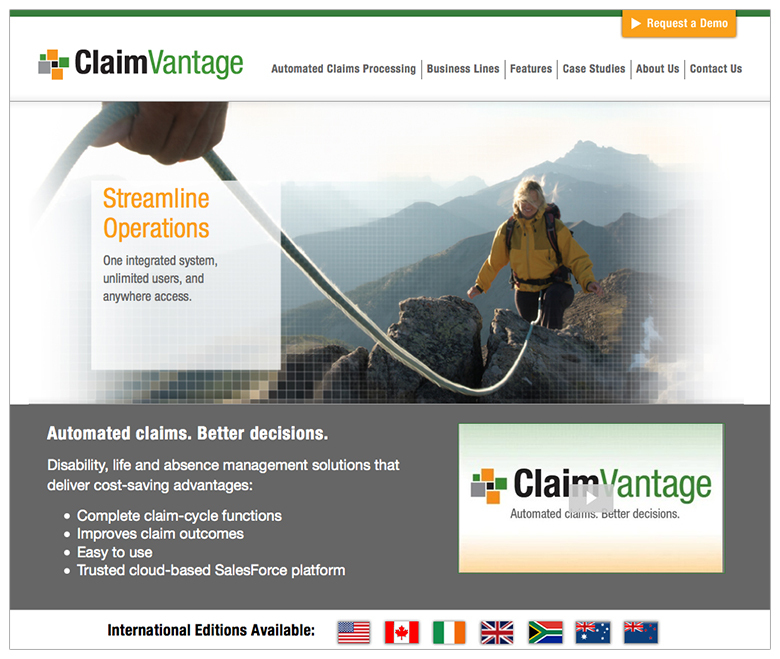 The web site design was part of a complete rebranding effort that included case studies to showcase their customers and international pages to capture the attention of prospects in countries outside the US. 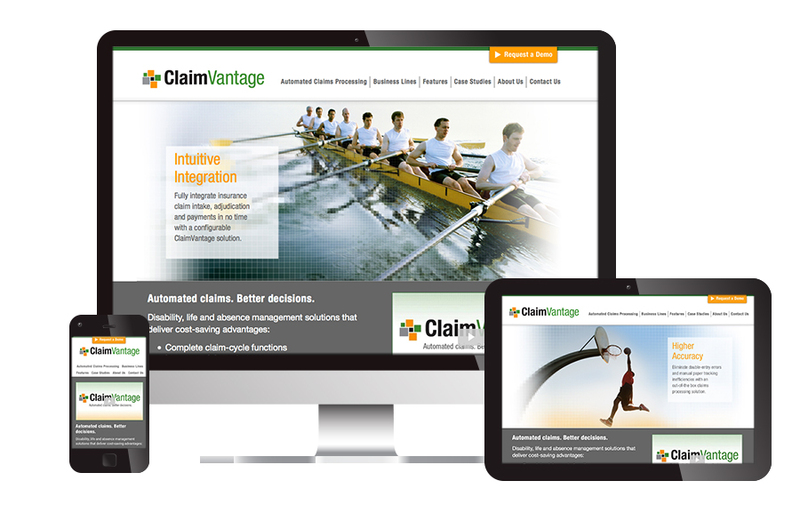 Read our case study about working with ClaimVantage.